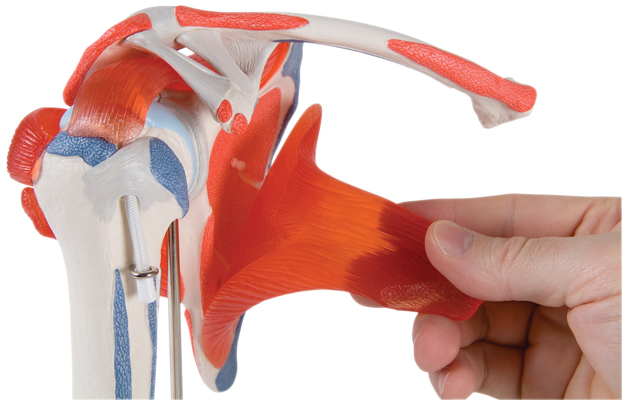 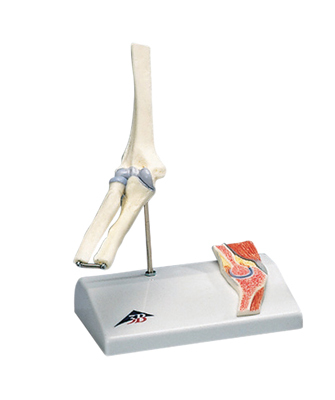 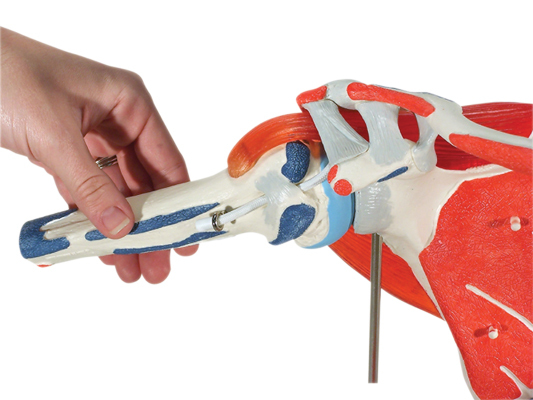 Functional joint models are ideal for active use in teaching and demonstrations. 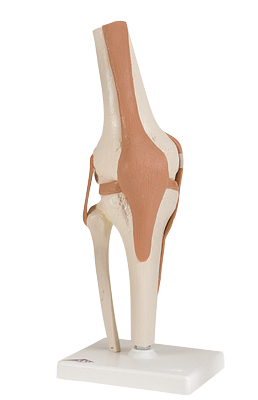 Dimensions: 6.7" x 7.1" x 9.1"
Dimensions: 6.7" x 8.7" x 13.8"
Dimensions: 5.2" x 5.6" x 14.2"
Dimensions: 10.7" x 9.1" x 16.6"
Dimensions: 6.8" x 8.8" x 14"
Dimensions: 5.2" x 5.2" x 14.2"
The mini hip joint model has been reduced to a half of natural size but has kept all of the functionality of larger hip joint models. 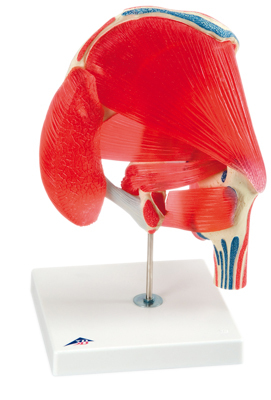 In addition to the external anatomical structures, the hip joint cross-section mounted on the base, the medical or teaching professional now has the possibility to explain what is happening from "within" the hip joint. 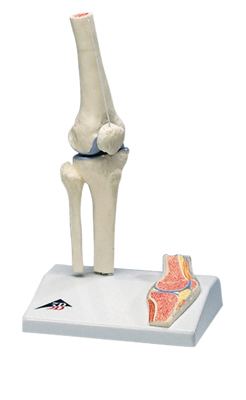 Dimensions: 5.6" x 6" x 7.1"
The mini knee joint has been reduced to a half of the natural size of a human knee but has kept all of the functionality of the larger knee joint models. 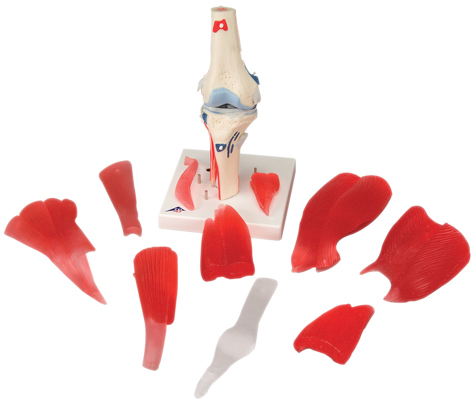 In addition to the external anatomical structures of the knee, using the superb new knee joint cross-section mounted on the base, the medical or teaching professional now has the possibility to explain what is happening from "within" the knee joint. 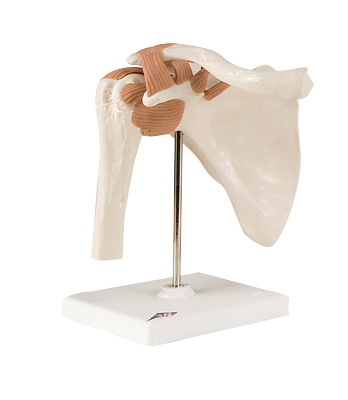 Dimensions: 6.7" x 6.7" x 7.1"
Dimensions: 5.6" x 5.6" x 7.1"
Dimensions: 5.6" x 6" x 7.5"
The Shoulder Joint with Rotator Cuff comprises the upper half of the humerus, clavicle and shoulder blade. 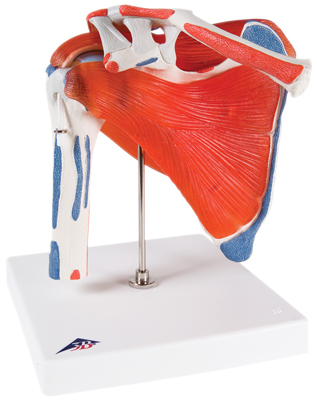 The muscles of the rotator cuff are displayed and the sites of origin (red) and insertion (blue) are highlighted in color. 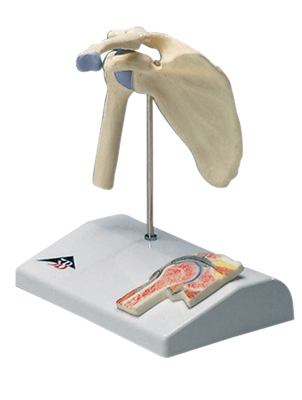 By removing the four individual muscles, all movements of the shoulder joint can be performed: abduction, adduction, inward rotation, outward rotation, anteversion, retroversion, elevation and circumduction. 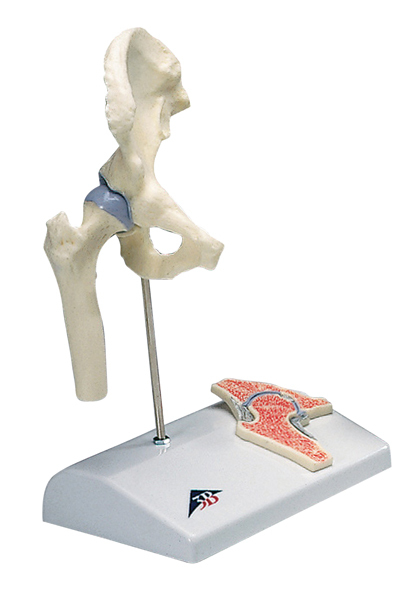 The hip Joint model has 7 parts. 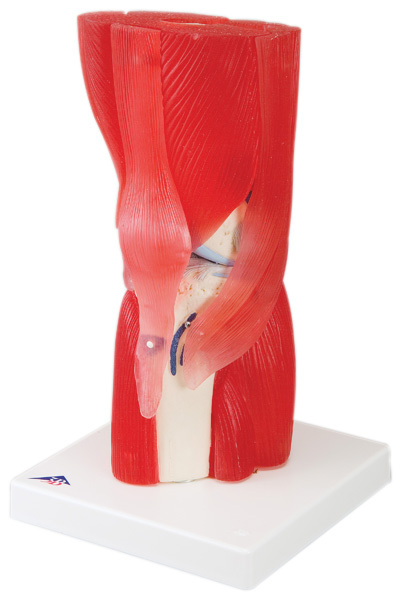 Model is of adult male hip joint with the individual muscles and color-coded muscle origins and insertions on the femur and the hip bone. 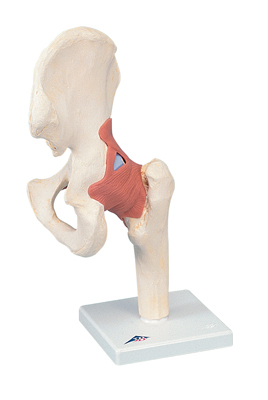 The hip muscles are removable. 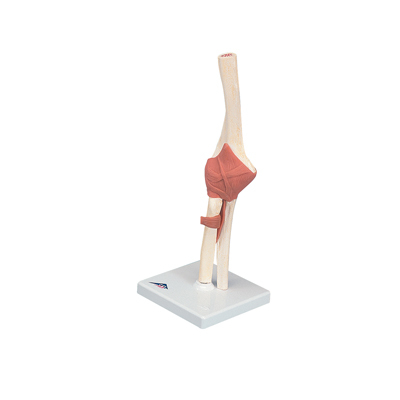 Dimensions: 7" x 7" x 13"
The Muscles Knee Joint with Removable Muscles model has 12-parts. 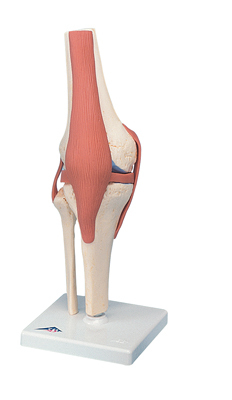 The Muscle Knee shows different removable muscles and muscle portions of the knee area. 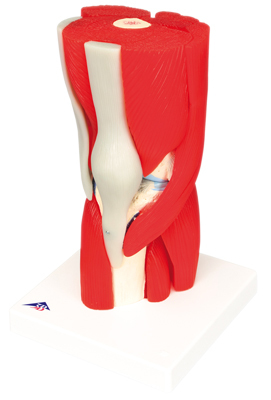 Color-coded and raised areas indicate the muscle origin and insertion points on the femur, tibia, and fibula. 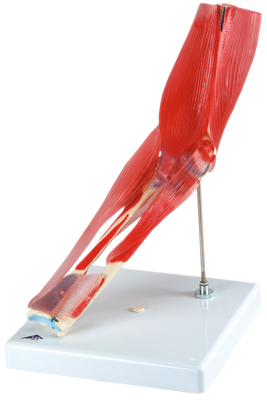 The Elbow joint with removable muscles model has 8 parts. 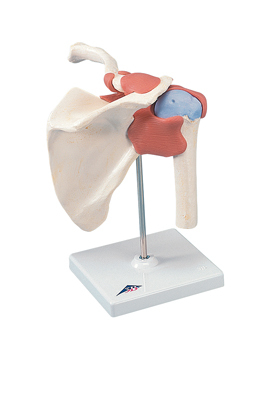 The adult male elbow joint model has individual muscles and color-coded muscular origins and insertions on the humerus, radius, and ulna. 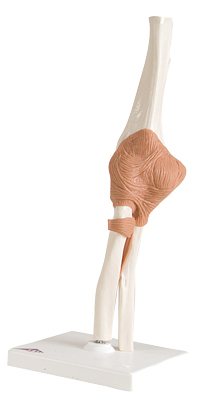 The muscles are removable. 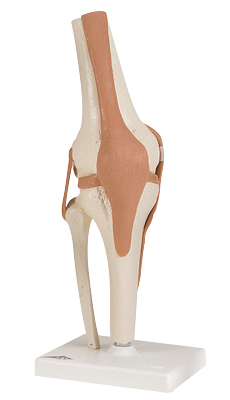 Dimensions: 9" x 10" x 16"
Dimensions: 4.7" x 9.4" x 4.7"